Need more Persona 5? Enter: The Animation! The film is being made by A-1 pictures, the studio behind all the Persona 3 animated films and Persona 4: Golden, and is expected to be released next year. A-1 also produced Persona 5’s animated prologue, so it is already entwined with the title. All of the game’s Japanese voice cast will return for The Animation in some capacity. I’m sorry we can’t show you the trailer, but it’s been blocked for all those outside of Japan. There’s a decent chance Persona 5 The Animation won’t be dubbed in English, but hey, that’s what subtitles are for! After a very successful launch in Japan earlier this year, Egglia: Legend of The Redcap comes out in the West this August 3 for Android and iOS. This isn’t your run-of-the-mill mobile RPG, though; rather, it’s a “premium” experience that brings together some of the key creative leads from Legend of Mana. Egglia is developed by Brownies, a studio founded by Shinichi Kameoka, who was the character designer for Legend of Mana. Kameoka reprises that role in Egglia, as well as being the game’s director. The background art comes from Kōji Tsuda. The Legend of Mana’s writer, Noboyuki Inoue, is also involved in a “scenario support” capacity, and famed composer Yoko Shimomura is one of the people responsible for the music in Egglia. With a team like this, it’s no surprise that Egglia has a lot of aesthetic similarity to Legend of Mana. It plays quite differently, though, being a turn-based tactical RPG. That said, one of the core mechanics of Egglia involves expanding the world by hatching new areas from eggs, something that bears a lot of resemblance to Legend of Mana’s Land Make system. Anyone worried about microtransactions and gacha systems – a common refrain of Japanese mobile RPGs – can rest easy, because Egglia is a “premium” game with a one-time purchase of $9.99 USD/€10.99/£9.99. I hope you're at home for this one. In the dark. Which, granted, is unlikely considering we publish first thing on Monday morning, but maybe come back later for this one? Regardless, you won't want to miss this new adventure trailer for White Day: A Labyrinth Named School. White Day is a classic Korean horror game that is being remade from the ground up for contemporary audiences. Highly praised as being "a hidden gem in the horror genre," the remake expands on the original with new gameplay features and content, including an unlockable story sequel that has a new character exploring during but separate from the events of the main game. That being said, the original was already quite advanced, so still expect all the goodness: eerie atmosphere, intense chase scenes, a dynamic scare system, evolving puzzles, and a branching story with multiple endings. White Day: A Labyrinth Names School will be released separately in North America and Europe. In Europe, the Steam version launches on August 22 while the PlayStation 4 version drops on August 25. Those in North America have to wait a bit longer – thank goodness it's summer so the days pass quickly! – with both releases coming at once on August 29. It seems like we were one of the few outlets to give Birthdays the Beginning high praise (read Matt's review here), so I wasn't quite sure what would come of the game post-launch. I am absolutely thrilled, however, to be able to say that the game has been expanded even further with some awesome new DLC. I have a laundry list of cool stuff to share with you, so I won't waste any more time! 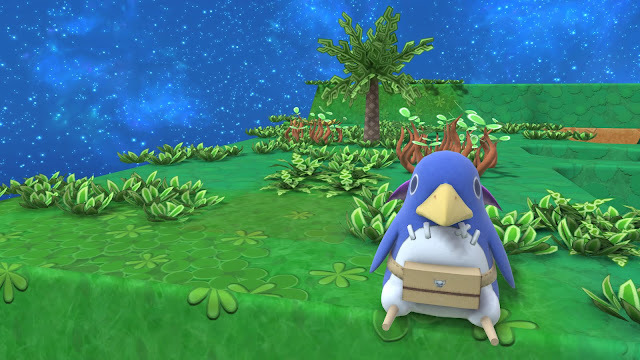 All new content is currently available for the PlayStation 4 version of Birthdays the Beginning, and will be released soon for the Steam version. It's all free – yay! – but most (if not all) are strictly ornamental, boo.